You need at least WordPress 3.6 running on your self-hosted installation. How can I show recipe-posts on the home page? Note: You can select multiple items when you keep on holding the [Strg] (or the [cmd] key on Apple machines) on your keyboard while clicking the post types you need. 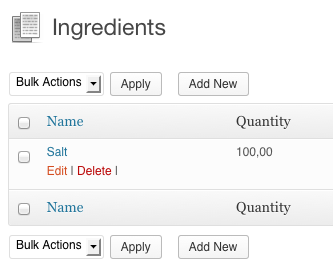 How can I add recipes? In the left menu bar there is a link called “Recipe”, click on it. You will see an overview (which is the exact same window as seen on the posts or page screen). So it just works like there. How can I add ingredients? Click on “Add new” and enter the details you need. Click on “Add new” to save everything into the database. 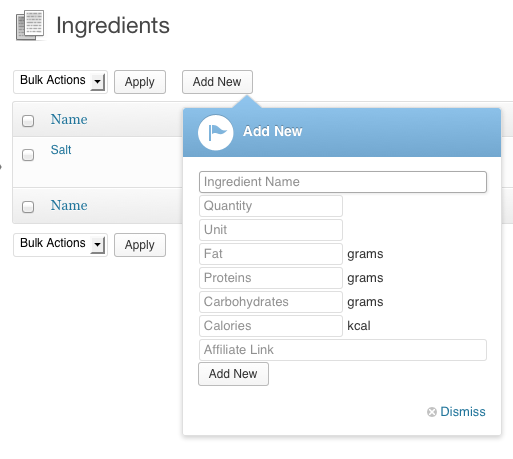 How can I edit an ingredient? 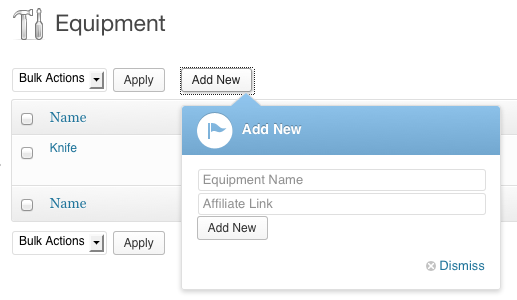 Some input-fields will appear. 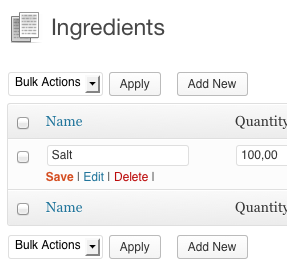 Edit your fields and click on the Save-Link that appears under the ingredient title. How can I add an equipment? How can I edit an equipment? Its the same as with ingredients. See question 5 for more. How can I set the Thousands and Decimal separator? Here you can find the settings you need. 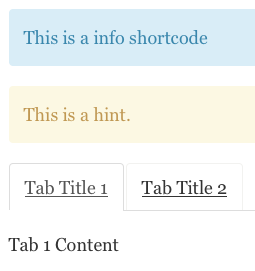 And the tab-shortcode (you can find out more about the tab shortcode on this page). The yield-shortcode works like this: [yield unit=”grams”]5[/yield]. The content will be transformed to a floating number. In this example: 5.0.